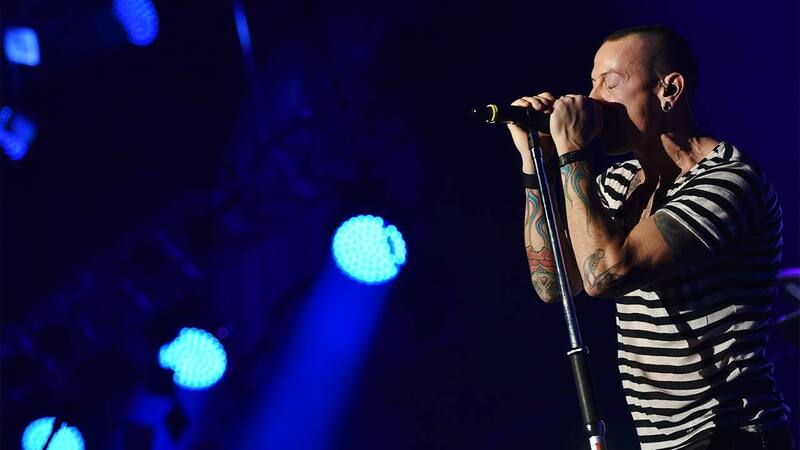 NEW YORK -- The widow of late Linkin Park singer Chester Bennington says she's feeling the love from the rocker's fans but she's also feeling the loss. Talinda Bennington said in a statement late Thursday she wants "to let my community and the fans worldwide know that we feel your love. We feel your loss as well." Chester Bennington hanged himself from a bedroom door in his home near Los Angeles last week. His death was ruled a suicide. "One week ago, I lost my soulmate and my children lost their hero - their Daddy. We had a fairytale life and now it has turned into some sick Shakespearean tragedy. How do I move on? How do I pick up my shattered soul?" Talinda Bennington wrote. "The only answer I know is to raise our babies with every ounce of love I have left." Chester Bennington was the father of six children, including three with Talinda. Linkin Park rose to fame after releasing its debut album, "Hybrid Theory," in 2000. It sold more than 10 million albums and was highlighted by Chester Bennington's screeching signature vocals. The band went on to become one of music's top-selling acts and won accolades that included Grammy Awards. Following his death, the band announced it would cancel its tour, which would have begun this week. Talinda Bennington said she knows his fans, family and friends "will help keep (Chester's) memory alive." "He was a bright, loving soul with an angel's voice. And now he is pain-free, singing his songs in all of our hearts," she continued. "May God bless us all and help us turn to one another when we are in pain. Chester would've wanted us to do so. Rest In Peace, my love." Bennington was found dead on what would have been the 53rd birthday of Soundgarden frontman Chris Cornell, who hanged himself in May. The two were friends and Bennington was the godfather to Cornell's 11-year-old son, Chris.